This round of testing includes six models of Camping Hammocks. 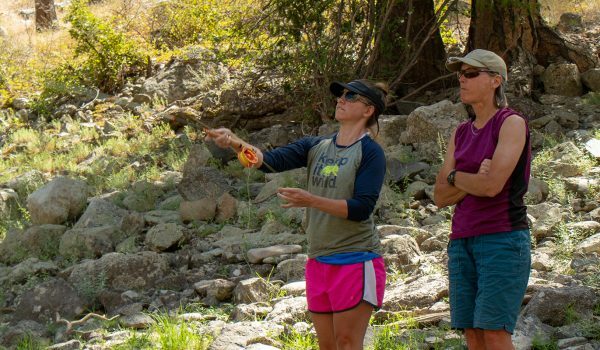 They’re set apart by their packability and durability, including features like lightweight materials, attached stuff sacks, and overnight add-ons like rain flies. 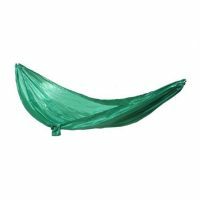 These are the hammocks you put in your pack to relax in after a hard day on the trail and quite possibly spend the night in instead of a tent. Our tester is based in Portland, Oregon and hung out in a wide range of conditions, from sunny lakeside days to downpour nights. 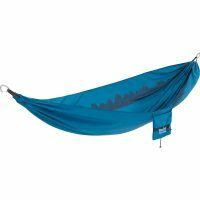 Each hammock was evaluated on five categories: design, features, ease of use, quality, and weight. Kammok’s Roo has a simple and straightforward design that makes it a great choice for paddling trips or hanging around the car-camping site. 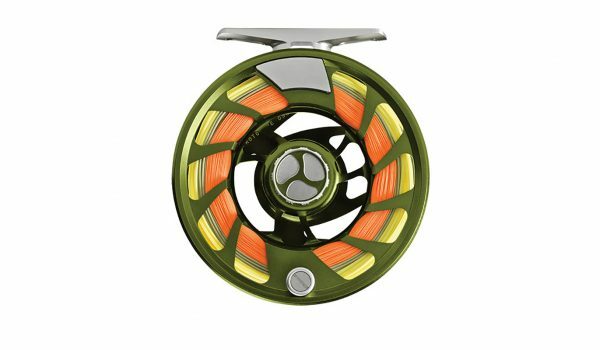 It features high-quality craftsmanship and a rain fly that can withstand bad weather. But it was also the heaviest model tested by a significant margin. 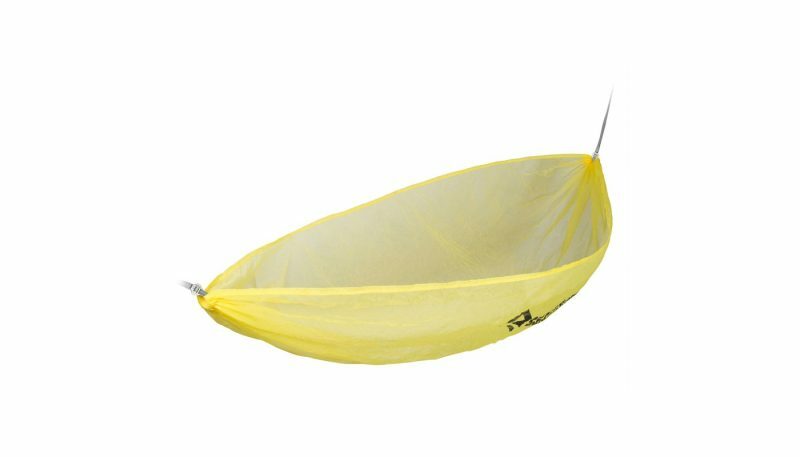 The OneMade Double TrunkTech is a spacious camping hammock that will fit even large people easily. 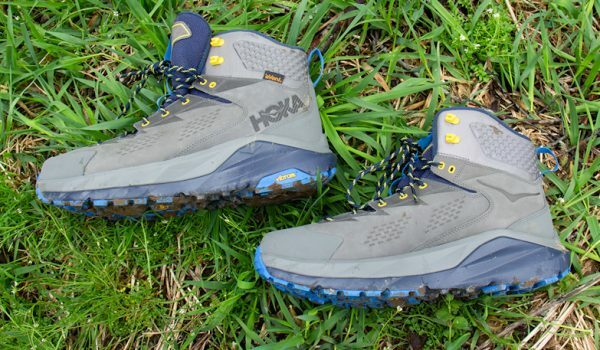 It’s not the lightest model tested, and the straps and rain fly could probably stand to shave off a few ounces. The TrunkTech was also the most expensive model by $20 – possibly due to being made in the U.S. The Hummingbird Single+ is very light but also reasonably comfortable and caries a low price tag. The modular system is a mixed blessing allowing users to avoid being stuck buying extra items, but it can also limit versatility. 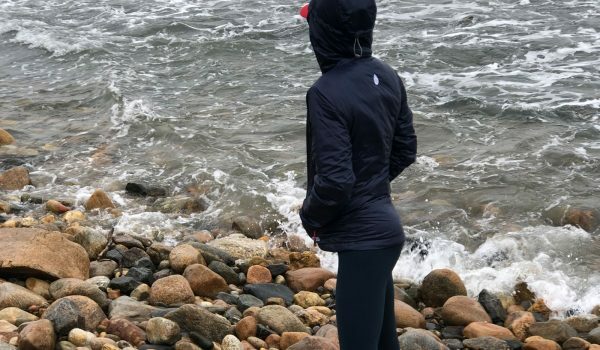 With its soft fabric and one-piece design, the Therm-a-Rest Slacker Single is hard to top in terms of comfort, at least for one person. 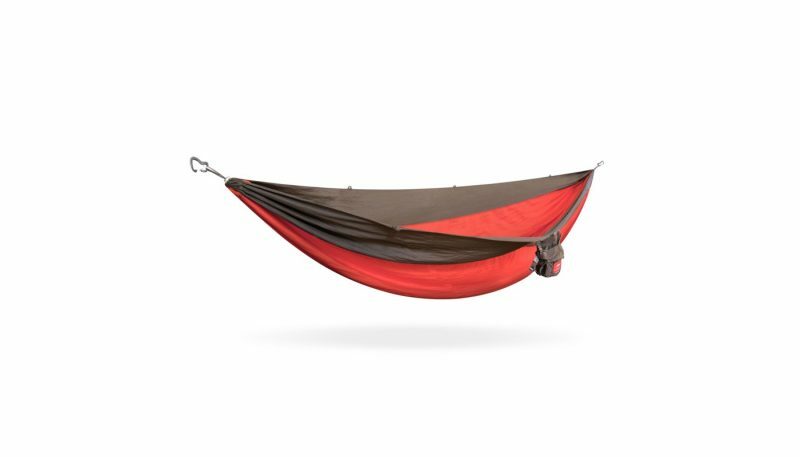 It’s also the least expensive camping hammock in the test, making it a great value. But the tradeoff is weight, and a suspension system that could be improved. 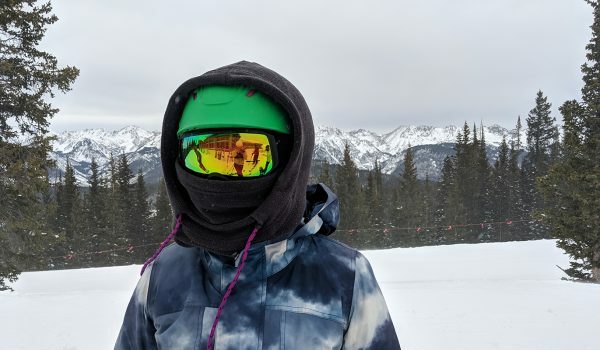 With these five categories in mind – design, features, ease of use, quality and weight – our reviewers tested these models head-to-head. When the results came back, the ENO’s TechNest came out in the lead, followed closely by the Kammock Roo. The final overall scores were fairly close together, mostly because models that scored high in one category usually lost points in another. There weren’t any obvious standouts or failures in the batch. However, we recognize that some models are more well suited for certain uses than others. 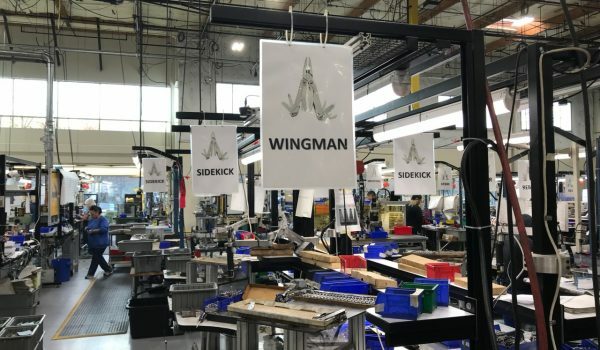 An ounce-counting fastpacker will be more than willing to put up with the shortcomings of Hummingbird’s Single+ and Sea To Summit’s Ultralight. 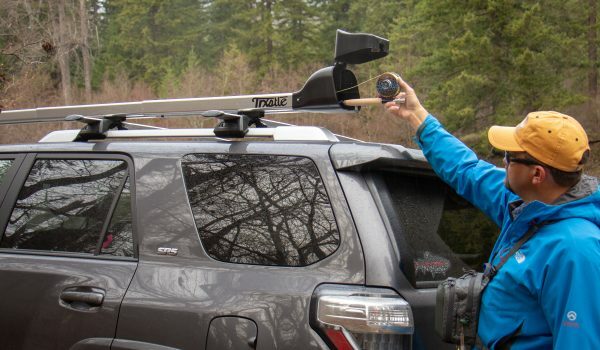 Taller backpackers, anyone who enjoys more space, or car campers who don’t have to worry about weight will find the roomy design of the Kammock Roo overshadows its hefty weight. 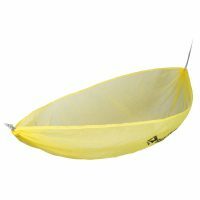 Therm-a-Rest’s Slacker didn’t stand out in any particular category, but it was $20 less than the next lowest non-ultralight model, making it a good place to start if you’re just getting into the camping hammock method. Every model had something to recommend about it, and these results are meant as a starting point for you to find the best option for you. Our tester’s ultimate combination would be: soft, comfortable fabric; a simple carabiner-and-webbing suspension system that isn’t over-engineered, and has reflective threads in the webbing; a rain fly that’s ready to go out of the bag, complete with reflective cords and cord adjusters; a stuff sack/gear pouch that’s attached in the middle of the hammock; and, for the love of all that is holy, stuff sacks that aren’t so small that repacking is a thumb-breaking chore. Here our tester was looking at the body of the hammock itself, the material it’s made from, and how it’s cut and sewn together. 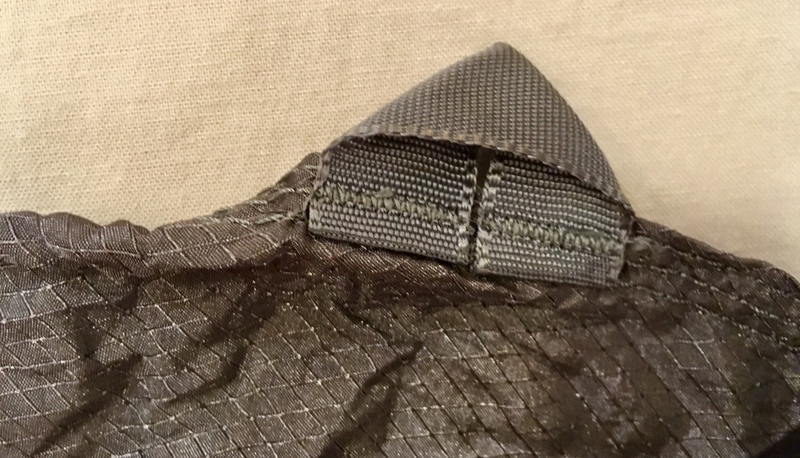 A hammock isn’t just a rectangle of fabric; there are countless subtle ways the ancient design can be tweaked for comfort and practicality, from how the fabric panels are cut to how the material is gathered together at each end. The ENO TechNest and Grand Trunk OneMade both scored high in this category, while the strange feel of Sea to Summit Ultralight’s see-through fabric, while undeniably light, kept it low. 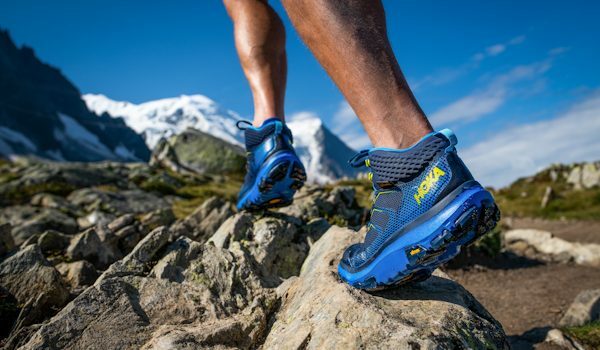 Sea to Summit’s ultrathin fabric is breathable but somewhat uncomfortable. The Roo’s sewn gear loops offer a place to clip items like headlamps. Here our tester was looking at how difficult it was to hang and take down each model, including fine-tuning the suspension system and getting various pieces back into their stuff sacks. 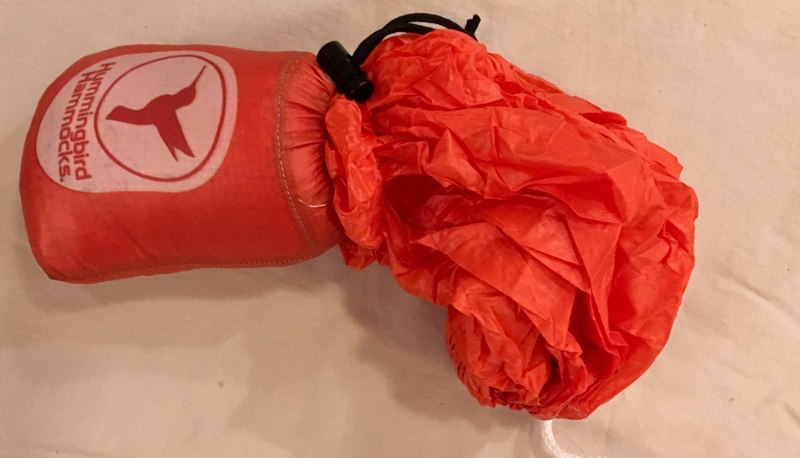 The only standout was the Hummingbird Single+, and not in a good way: Its ultralight knot-and-loop-based suspension system and its needlessly tiny stuff sacks both cost points. Our testers couldn’t even get the Hummingbird Single+ back into its stuff sack. Anything made of fabric, webbing and rope isn’t going to last forever, but it should last as long as possible – and you should be able to trust anything you’re using to suspend yourself (and maybe someone else) in midair not to dump you on the ground. In this category our tester looked at how well each hammock and its accessories were put together, including material strength and stitching. 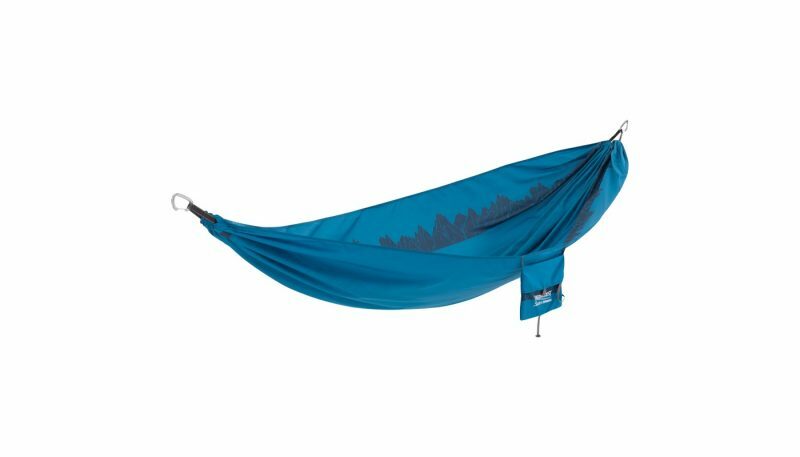 Once again the Kammock Roo was notable for the solid construction of its hammock, suspension system and rain fly. The most objective category took into account the weight of the hammock alone and also the combination of hammock, suspension and rain fly. It was dominated, unsurprisingly, by the two ultralight models, the Hummingbird Single+ and the Sea to Summit Ultralight. 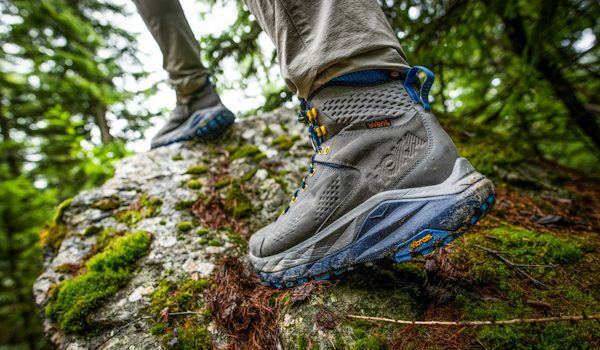 The latter earned a perfect score with its almost unbelievable 5.4 ounces, but the former came close with its lowest-in-test 22.2 ounces including straps and rain tarp. At the other end of the scale, the Kammock Roo alone weighed more than that entire package, followed by the Therma-a-Rest Slacker at a surprisingly heavy 20 ounces. The Hummingbird Single+’s button-and-loop suspension fasteners are one reason it’s so light. 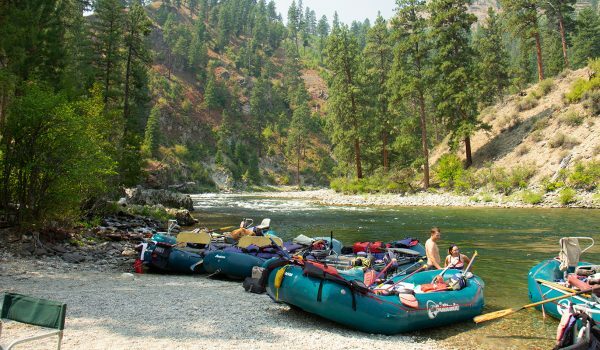 Over the course of a few weeks, our testers spent multiple nights in each model, using the same sleeping bag, pad, and inflatable pillow. Since the testing was based in Oregon, about half the nights involved precipitation of some kind. Each model was set up and stowed in each combination multiple times, on trees of varying diameters and distances. If a model is described as fitting two people, a companion was enlisted to check fit. 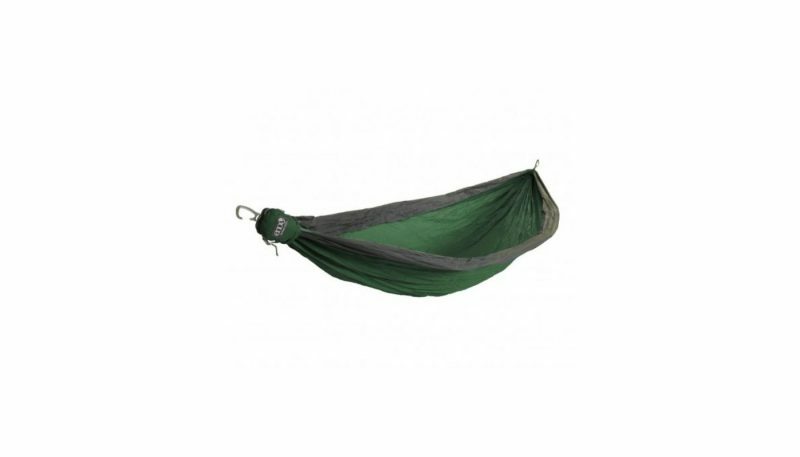 The testers evaluated each model on five different criteria: (1) design, which involves the main characteristics of the hammock itself; (2) features, which include suspension systems and rain tarps; (3), ease of use, which covers setup and repacking; (4) quality, which is how well each system is made; and (5) weight, which is self-explanatory. Each model is rated in each category on a scale of 1-10, and the individual scores are tallied into an overall Gear Institute Rating. 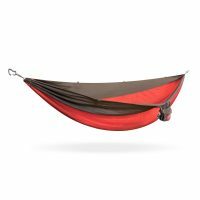 The hammock with the highest aggregate Gear Institute Rating based on all five criteria is awarded Best in Category for that round of testing. 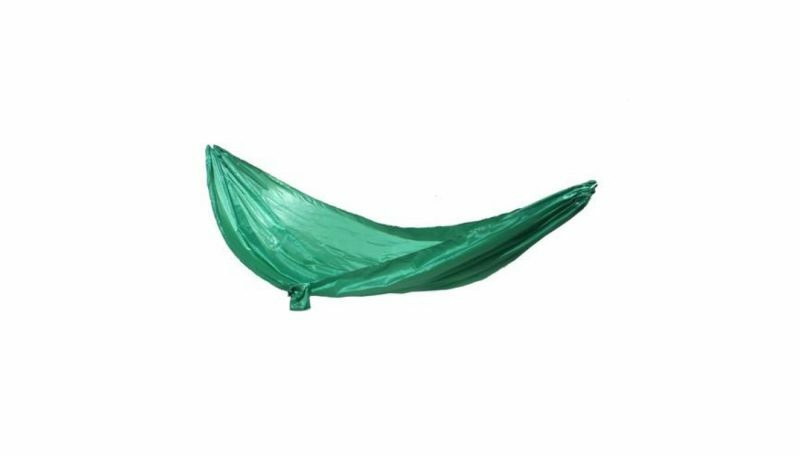 A camping hammock is designed to be a comfortable, lightweight alternative to a tent. It’s something you can pack up and hang anywhere there are two trees the right distance apart – or even a tree and a car – for daytime lounging and, if it’s an overnight trip, by night. 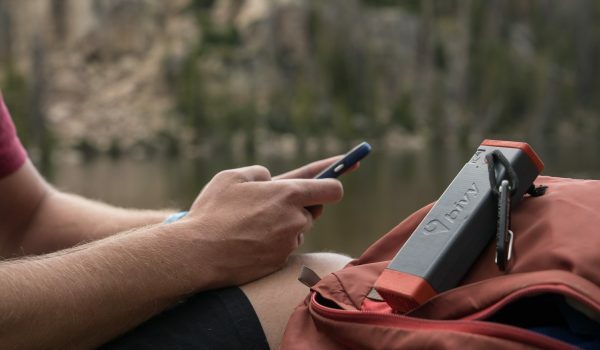 They’re designed to be tough and compact, with the ability to stuff down into a small package that can fit in a backpack. The main subcategory is ultralight models, made to be light above (almost) all else. Sometimes this means sacrificing things like space and comfort. Non-ultralight models can be subdivided by size (usually one- or two-person) and sometimes finer gradations of weight. People have been sleeping in hammocks since well before recorded history. 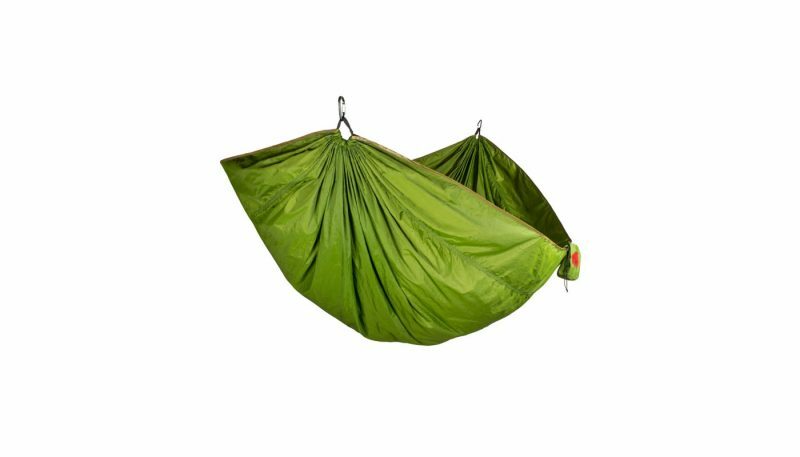 Today’s camping hammocks have the same basic features – a body-sized sling suspended between two supports – made with cutting-edge materials and design know-how. 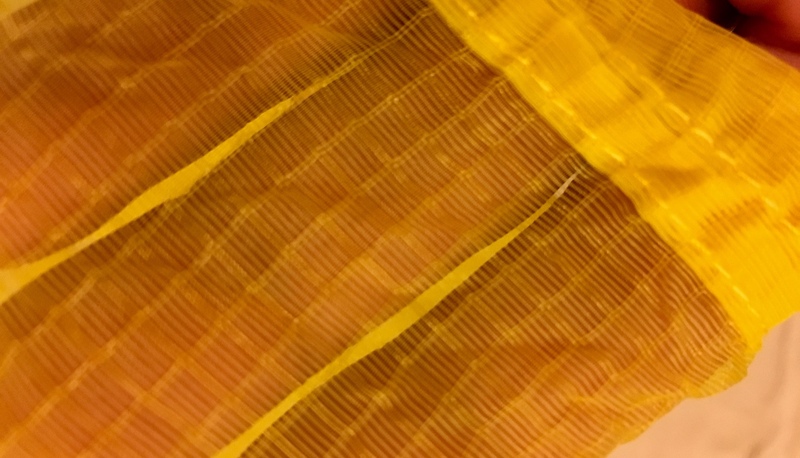 The body of the hammock itself is made out of a single large piece of fabric; wider models may have two narrower side panels sewn to it lengthwise. 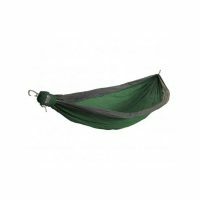 The material is gathered together at each end, usually permanently stitched into a loop of webbing or cord to form the classic hammock shape. Often there’s a carabiner at either end to attach the hammock to a suspension strap wrapped around a tree or other support object. 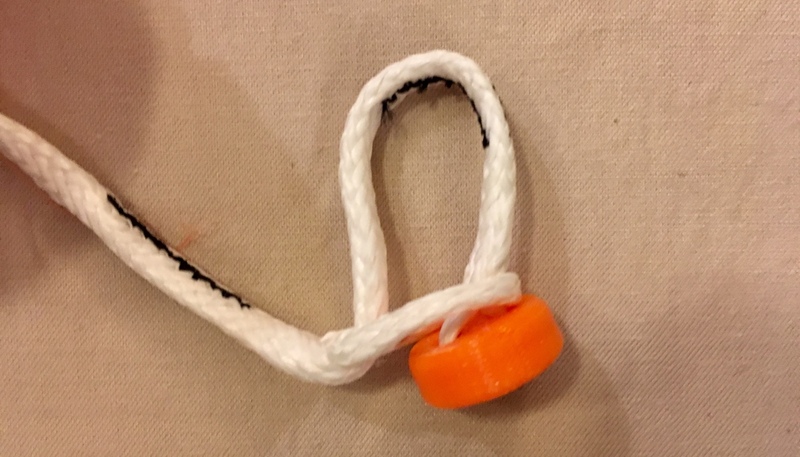 Ultralight models can have lighter attachment systems involving buttons and loops or sliding friction knots. A rain fly attaches to the suspension points and anchors out to each side with smaller cords. This creates an overhead awning that can be fine-tuned depending on which direction the rain or wind is coming from. Our testers kept a few questions in mind when evaluating each hammock. How easy is it to set up, take down, and pack up? How much does it weigh, and how small does it compress? Is it well made? How well does the rain fly work? Are there any unique features to this particular model? How comfortable is it? The last question is obviously the most subjective, but it depends on variables like how the material feels against the skin and how it’s cut and sewn. Above all, is this hammock one we’d like to go to the trouble of taking along into the wild and spending extended time in, either relaxing or sleeping? 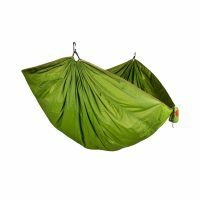 Camping hammocks in this round of testing had MSRPs ranging from $70 to $119, with an average of $92. A higher price does not mean a better product; the top scoring model was only $3 over the average, and the most expensive model came in third.